Identifying the reasons why a child’s developmental progress may have slowed or stalled. Implementing methods for the child to begin moving forward again at a rate commensurate with his or her potential. Breathing new life into programs that have lost momentum. Re-inspiring and energizing parents and teachers who have lost motivation or become discouraged. 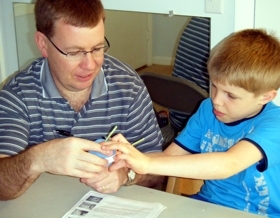 Providing methods and strategies for parents who sense that their child is not getting the right kind of help or not continuing to benefit sufficiently from an existing program. Children who seem capable of making more progress than they are currently making. 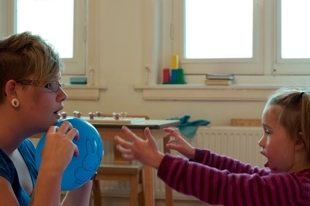 Children whose progress has slowed after successfully using an intensive interaction program, such as Son-Rise, or Floortime. If your child increased eye contact, social interaction, speech and affection in these programs, but then seemed to reach a plateau, we can help. Children who have progressed well in an ABA program (for example, he or she does well when working one-on-one in school) but are not translating those skills into other areas of life. Children whose development seems stuck, especially in a specific skill area such as speech acquisition, verbal behavior, toilet training, communication or social skills. Parents observe that the child reaches a certain point and then can’t get beyond an apparent impasse. Why Does Progress with ASD Slow, even when a Program Has Initially Been Successful? For instance, the TEACCH program is based on the idea that people with autism are visual learners and that there is a culture of autism that is predominantly visual. The Son-Rise program is based on the idea that a non-judgmental attitude will create a human environment that will support more communication and social interaction for people on the autism spectrum. Relationship Development Intervention (RDI) is based on the idea that guided social experiences will help a child develop the dynamic skills necessary to form social bonds. The biomedical approaches are also based on the idea that autism is primarily a condition of poor immune function, the presence of toxins or other biomedical factors. Each of these programs may be created around certain theories or practices that are, in fact, beneficial for many children with autism. However, none of these programs is sufficient to help all children diagnosed with autism spectrum disorders. A minority of children with ASD have specific, limited difficulties that affect a single aspect of language development or attention. These children may be able to get enough help from a single-approach program to correct or compensate for the single deficit and then be able to move forward. However, the majority of children on the autism spectrum have much more complex difficulties. They need more help and varied kinds of help. They may get some of what they need from “single approach” programs, but they will not get all of their needs met. When they have reached the limits of what that program can do for them, their progress will slow or stop. At this point, if the parents are convinced that the program should be able to meet all their child’s needs, they may blame themselves for not doing the program well enough. They may try harder to provide more and more of the same interventions, while seeing less and less progress. Others may grow frustrated and give up trying. Parents are at risk for depression and loss of motivation during these periods. Relatives, friends or professionals, concerned about the parents’ distress, are likely attribute the lack of progress to the child’s innate limitations or assume that the child has reached the upper limit of his or her potential. While all these reactions are understandable, none of the conclusions formed are correct. The child’s plateau is seldom due to the fault of parent or the limitations of the child, but an indication that the child has reached the limits of what that particular approach can do for him or her. In our experience, it is not uncommon for a child to benefit for a time from a program or teacher that is highly effective in dealing with certain specific deficits. When the child acquires strength in that deficit area, the child’s next area of need may not be a specialty of the existing program. Progress slows, or stops. It can seem like there is a wall that prevents further development. For example, a child with poor eye contact, who does not look at visual targets when requested, will have trouble learning the names of common objects. A program that helps that child to increase eye contact and to respond by looking at visual targets will develop more understanding of language. Some children in that circumstance may begin to speak or dramatically increase their vocabulary. However, if that child also has motor difficulties that are severe enough to interfere with talking, that child will also need some very specific motor help. What is enough for one child is not enough for another child. What works for one child, will not work for another child. Finally, there are children with very complex difficulties who do not have the physical/neurological foundations needed to fully benefit from certain programs. For instance, children with visual impairments will not benefit much from the TEACCH program, which emphasizes visual learning. Children with executive function difficulties or dyspraxia will not fully benefit the Son-Rise or RDI programs, which do not include methods to address these compound neurological issues. In these instances, a particular program may be inappropriate, even though it has helped many other children. There is no single autism program today that will meet all the needs of all children on the autism spectrum. For children who have reached a plateau in a program, the way forward is to forget about any single program and to focus again on the child’s strengths and on the areas in which he or she needs more specific help. Assume that the problem is not with the child, but with the methods being used so far. The way forward is to find specific tools and methods that may help that child with the target areas that will provide the greatest benefit. We begin by assessing a child who not progressing well. We use close observation in person, (or through video, if necessary) to make the best determinations possible about the child’s specific difficulties. Based on this careful assessment, we make adjustments to both goal setting and teaching methods. When the new methods are in place, we observe the results and reassess to determine if further changes are necessary. We can walk parents and teachers through that process through our Comprehensive Programs and, in some cases, through Distance Programs (by phone and internet). We can be the new eyes that help you assess what is happening with your child and make suggestions from a wide range of tools. We will do everything we can with our extensive resources to re-energize your program, to get you and your child over the hurdle, past the plateau and moving forward at a pace more commensurate with your child’s actual capacity for developmental growth. Read one mother's comments on Growing Minds after progress had slowed. We offer a 4-session, distance Consultation Series (by internet and phone) for parents interested in experiencing our services to decide if we are a good fit for your needs. Our In-person programs begin with training (usually 4 days) for parents, their child and any support people the parents may wish to include. They continue with 6 months of distance follow up and training by phone and video conferencing. While there are strong advantages to conducting the initial in-person training at our Broomfield, Colorado offices, we have limited openings for families whose circumstances make it necessary to hold the training in your home. We also offer training entirely at a distance (Internet and phone) for situations in which the family’s needs can be sufficiently addressed without in-person services. This tends to work best when the parents have already had previous training and experience in working with their child at home.